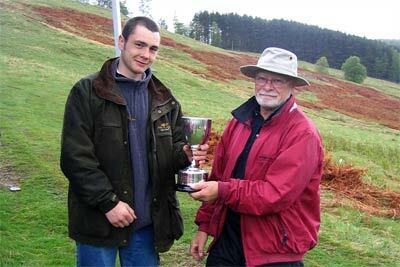 Below are the results of this year's Scottish Shooting Championship. A number of trends continued particularly with average scores continuing to rise in all four disciplines. Also all four top scores were records as far back as my recent records go. Although the numbers entering were up slightly, the damp and chilly weather was probably responsible for the numbers actually shooting slipping back slightly. Gerry Hogston repeated his winning ways although he was closely chased by a previous winner, Charlie Begg and a first time competitor, Mike Barton. Even Graeme Band had an opportunity to win in the very last detail but fell back slightly. Louise MacLeod won the Ladies for the umpteenth time though sadly no longer supported by dad Stewart. 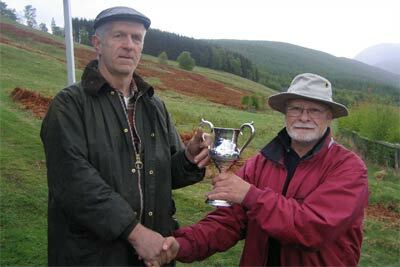 The two Dollar trophies for the top clay target and air pistol scores went to Graeme Dunlop and Gerry Hogston respectively. 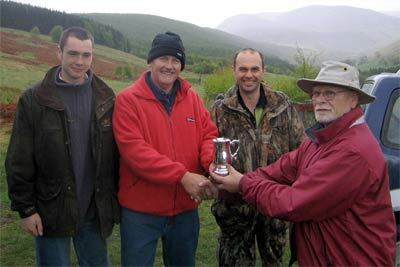 Despite a new challenge from the Stuart family team from Huntly, Blairgowrie retained the team trophy. As usual my thanks go to the numerous helpers who are required to run the various disciplines and in particular Mike Barton who assisted overall. This shoot does need significant effort to stage it and the ratio of entries to organisers continues to cause concern. 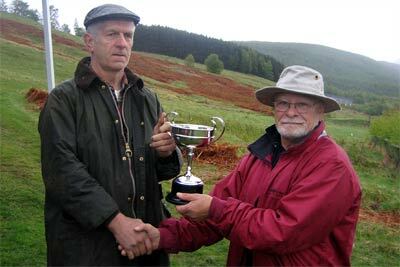 Team Winners Blairgowery otherwise known as "from uphill":- Greame Dunlop, Alan Black and Greame Band"